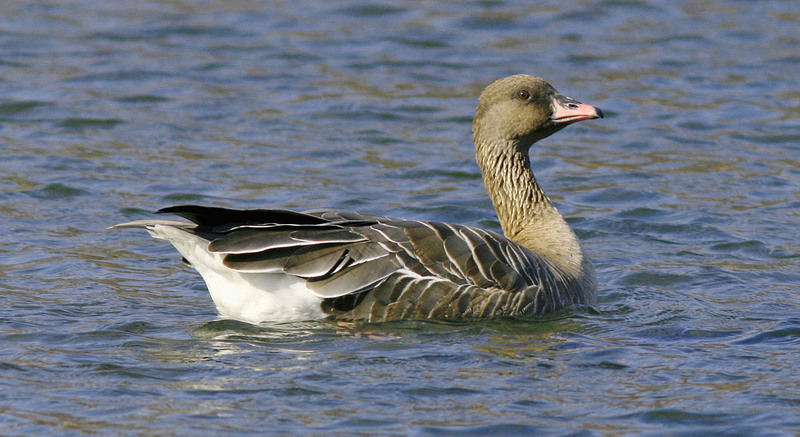 This Pink-footed Goose was frequenting farm fields and small pond on the outskirts of St. John’s in March and April 2010. Origins: Breeds in Iceland, Svalbard and eastern Greenland, wintering in northwestern Europe. It is a rare (but increasingly regular) vagrant to North America. Record Details: Eleven records of twelve individuals – all but three in spring. (1) First recorded for the province in St. Anthony (May-early June, 1980). (2-5) Five individuals were reported after a strong weather system in spring 1995 at Port Union (2, April 29 – May 14), L’Anse aux Meadows (May 2-26), Outer Cove (May 6-16) and St. Anthony (mid-late May). (6) Another individual was shot by a hunter at Frenchman’s Cove, Burin Peninsula in late September (year unknown) and mounted. (7) An individual was just outside St. John’s from March 15 – April 24, 2010. (8) The longest staying individual was first photographed on a field in Goulds (St. John’s) on November 19, 2012. It stayed in the area for several weeks, eventually moving to Bowring Park (St. John’s) where it remained until ~April 27, 2013 and marked the first ever winter record. (9) An individual was photographed by visiting birders in Bonavista on October 11, 2013. Presumably the same bird was relocated in Bonavista on November 8-11, 2013. (10) An individual was well described from Bay de Verde on May 24-25, 2014 — immediately following a big influx of European/Greenland birds to the island. (11) Two individuals were seen associating with a flock of 16 Canada Geese at Branscombe Pond, Mount Pearl from October 24 – November 18, 2018. 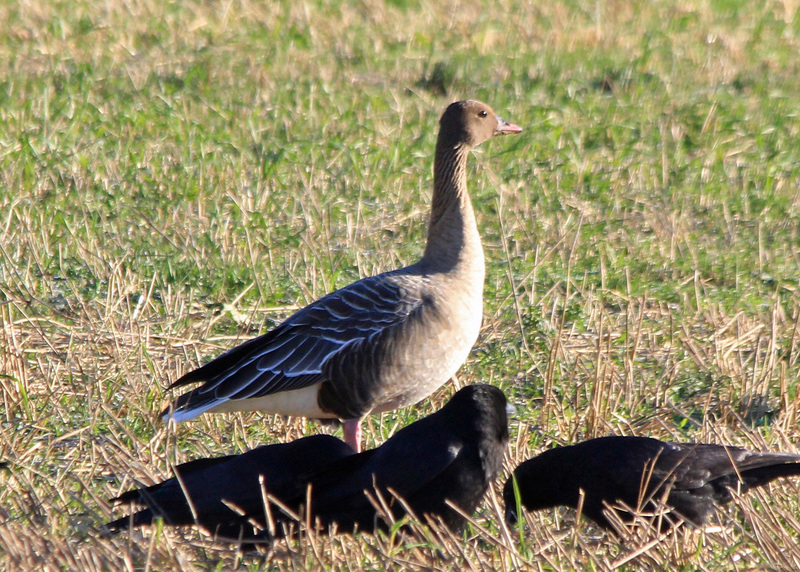 This Pink-footed Goose was discovered and photographed on a farm field in Goulds (St. John’s) on November 19, 2012 – the second fall record for the province. Interestingly, it was only a few kilometres from the immediately previous record. 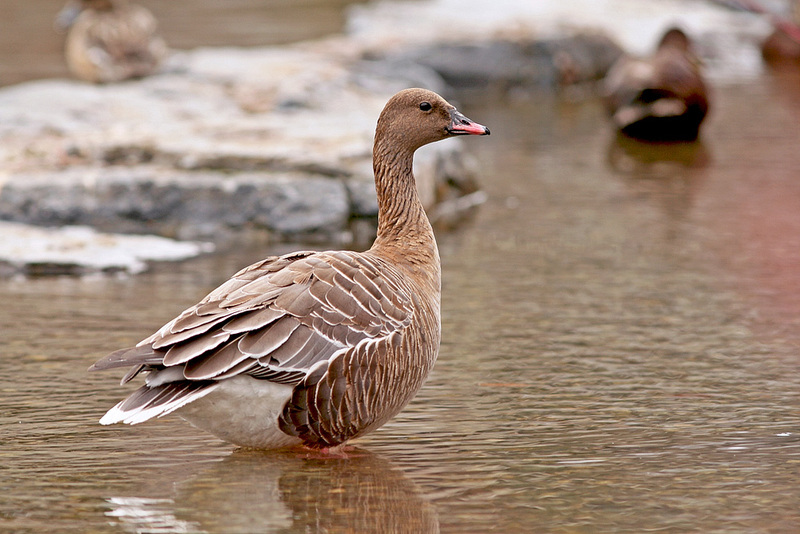 Newfoundland’s 8th Pink-footed Goose eventually took up residence at Bowring Park for the winter, remaining until late April 2013. First seen by Melvin McNeil of St.Anthony.